Xeomin, facial fillers and laser skin treatments are very safe, and have minor side effects, a new study suggests. These cosmetic procedures could cause minor side effects such as bruising, lumpiness or skin discoloration, but these occur in less than 1 percent of cases, according to the study published (Nov. 5) in the journal JAMA Dermatology. The study included only dermatologists who routinely perform these procedures, so it's possible that negative outcomes could be more frequent in the hands of less-experienced providers, and it's still possible that people simply don't like the way they look after cosmetic procedures. How do skin injectibles work? 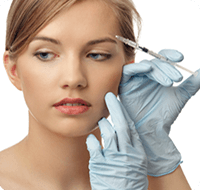 Injectible treatments involve a non-surgical procedure lasting for only a few minutes. During which, tiny amounts of diluted filler are injected into the skin by an ultra fine needle that minimizes discomfort. No anesthesia is necessary. Xeomin is a purified protein injection that temporarily reduces or eliminates frown lines, forehead creases, crow's feet near the eyes and thick bands in the neck. These lines appear over time with everyday muscle activity of the face. Xeomin injections soften and relax wrinkles by preventing facial muscles from contracting. Restylane® is a cosmetic dermal filler that corrects moderate to severe facial folds or wrinkles. It is clear gel that contains hyaluronic acid, a natural substance that already exists in the human body. In the past several years, minor cosmetic procedures such as laser skin treatments, Xeomin and facial fillers have surged in popularity. Xeomin is aimed at smoothing out wrinkles, whereas facial fillers are used to plump up features that have been deflated by age or sun exposure. Lasers are used for removing hair, tattoos and spots on the skin, as well as tightening the skin. Unlike traditional facelifts, these procedures can be done without general anesthesia, and patients often need only a day to recover. About 1 in every 416 procedures resulted in a negative outcome such as bruising, swelling or lumpiness in the skin. But some procedures were riskier than others. Procedures involving neurotoxins, such as Xeomin, caused side effects in just 1 in 3,333 cases, whereas fillers such as Juvederm caused lumpiness or beading in about 1 in 135 cases. The minor side effects may make these treatments an attractive alternative to a facelift, which requires cutting the skin and going under anesthesia. Findings show that even though these procedures are safe but in less experienced hands could cause real harm. For instance, using a high-energy laser at the wrong setting could block blood vessels and cause tissue death.